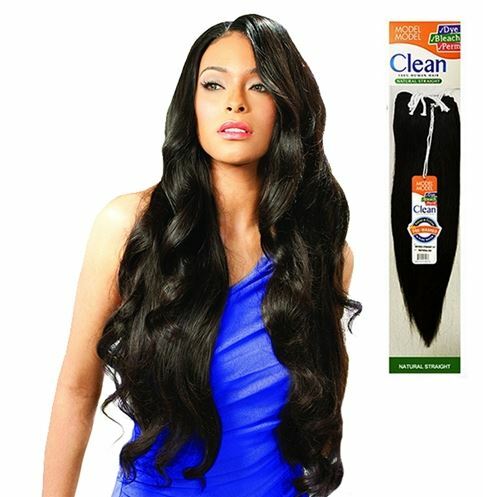 AME: Model Model Clean 100% Human Hair Weave NATURAL MATERIAL: 100% Human Hair TYPE: Weave HEAT SAFE: Dye - Brilliant colors / Bleach - Radiant hues / Perm - Bouncy curls Fresh & clean in pure water - 3X washed Healthy hair & fresh looks Model Model Hair Fashion is well known and highly respected for its commitment to high quality products and innovative creations since its inception. 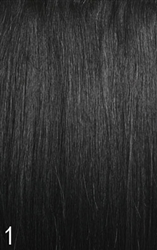 Well respected and recognized to its' original and always progressive philosophy on hair products. Model Model Hair Fashion meets the demands of today's modern market as well as continuously impressing its' long time fans. 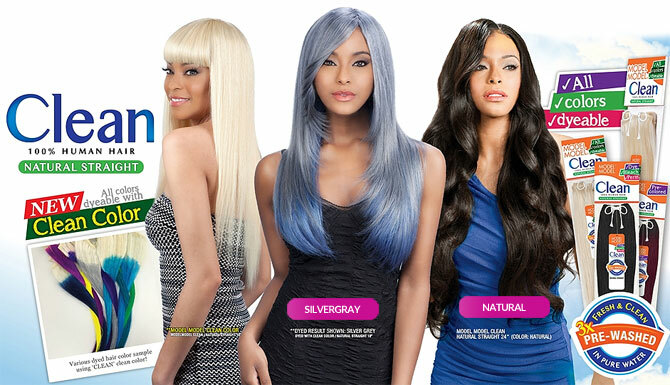 With uncompromising dedication for healthy hair and vivid colors, Model Model Hair Fashion proudly presents Model Model Clean. 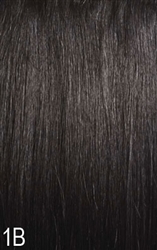 Model Model Clean can be colored, bleached and permed to precisely create the intended style. Pre-washed triple times to ensure most hygienic state upon opening, it can be worn easily. 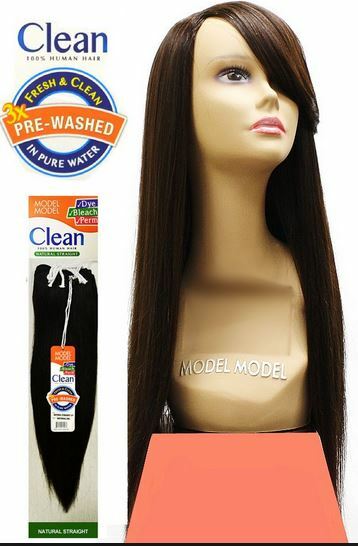 Enjoy the fresh and healthy hair of Model Model Clean.